Timeshares aren’t just for resort destinations like Lake Tahoe or Orlando. You can also find timeshares in some major cities, like San Francisco. Next time you want to visit the city by the bay, sail under the Golden Gate Bridge, stroll through Chinatown, tour the infamous prison at Alcatraz, and dine on fresh dungeness crab, consider staying in a timeshare for your San Francisco visit. Here is a rundown on some of the urban timeshares in the city of San Francisco. You can’t beat the view from the rooftop deck at this resort. You get a sweeping vista of the bay, with views across to Sausalito and Alcatraz, and you can watch the boats come and go on the bay. The location is close to the waterfront, Fisherman’s Wharf, Ghirardelli Square, and Pier 39. To get to other parts of the city, the cable car runs right outside the door. Renovated 1 and 2-bedroom suites include limited kitchens. Selected suites also have a balcony with a view. The resort has free wifi, a business center, and laundry. An II premiere boutique resort, and RCI silver crown. Staying here – You can get into the Suites at Fisherman’s Wharf via either RCI (resort code #7669) or Interval International (resort code SFW). 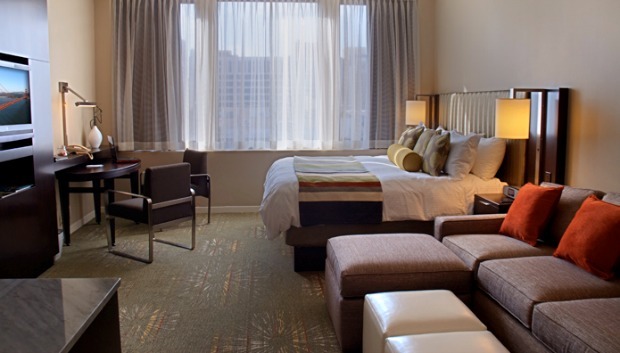 The Donatello is a recently renovated high-rise timeshare property in the heart of downtown San Francisco. The location is just a block away form Union Square, so you’re perfectly located for shopping, theater, and restaurants. The property has an Italian atmosphere, with an on-site restaurant, live entertainment, exercise room, and a spa. Rooms are studios, and there is a rooftop deck. Also on the same site is Club Donatello, which has the top three floors of the building. This is an II premiere boutique resort, and Club Donatello has an RCI gold crown rating. Staying here – You can use your Shell Vacations Club points to stay here, or get in through Interval International (resort code CL3). You can access Club Donatello with II resort code CLD and RCI code #1755. 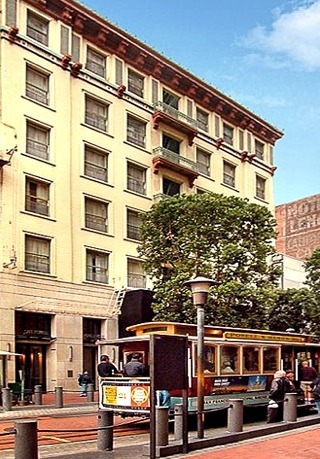 This timeshare resort is in a charming Edwardian building in the Nob Hill area of the city, near Union Square. The cable car runs right by, making it easy to explore the city via this iconic mode of transportation. Chinatown, shops and museums, and innumerable restaurants are within easy walking distance. Studios and 1-bedroom suites are available, with well equipped kitchens. Wifi is available throughout the resort. Staying here – Powell Place is part of Interval International, and you can find it with II resort code POW. If you’d like to stay in a quieter neighborhood a bit removed from downtown San Francisco, this timeshare might be for you. The small resort (just 10 guest rooms) is a converted brownstone mansion that dates to 1900, in the prestigious Pacific Heights district. It feels more like an elegant bed and breakfast than a typical timeshare resort, and a continental breakfast is served each morning. 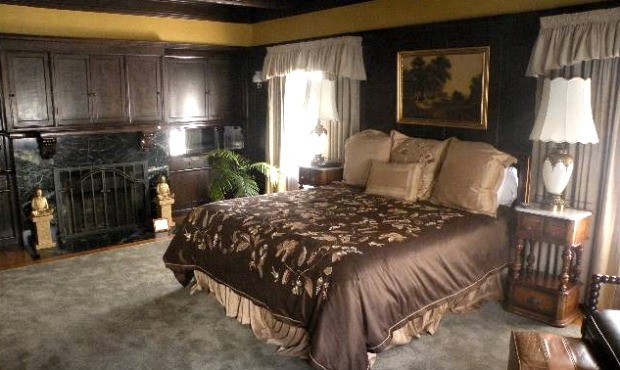 You’ll find antique furnishings and unique decor in this relaxing property. It is near the vibrant Union Street area of town. All rooms are studios with sitting area and no kitchens. This is an RCI gold crown resort. Staying here – This is a very small resort so there isn’t a lot of availability, but you can find Jackson Court on RCI, using resort code #0548. 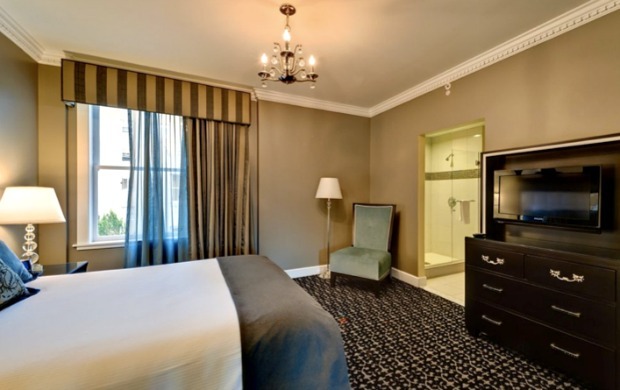 The Wyndham Canterbury is a classic hotel that has been renovated to Wyndham standards. It has an ideal downtown location, just blocks from the Union Square shopping district, the theater district, and Chinatown. The resort has 1 and 2-bedroom units available. Most have a refrigerator and microwave, while the Presidential units have a full kitchen. The resort has an exercise room and laundry facilities. This is an RCI gold crown resort. Staying here – You can book a stay here with your Wyndham points, or access this resort via RCI, using resort code C113. Have you ever stayed at a timeshare in San Francisco? This is my favorite city in the world, and I always love going back here. If you have any experience to share about timeshares here, please let me know in the Reply section below. Thanks! Urban timeshares like these resorts in San Francisco, California are one of the lesser-known ways to vacation with timeshares, and they can provide you with more space and better deals than staying in a typical big city hotel. Knowing how to maximize your trading power and exchanges can help you score winning vacations like this. Get a ton of insights, tips, and tactics to help you get the best possible vacations from your timeshare, in my new Timeshare Owner’s Guide to Winning the Timeshare Game. If you’d like to boost your timeshare results, check it out! RCI Platinum – Still worth it in 2014? Whoah this blog is wonderful! I like reading your articles. Gee, that’s a shame! 🙁 I must say I’m surprised they told you that. Personally, I got a really nice springtime trade to downtown San Francisco, without much trouble at all. However, that was through Interval, not RCI, so this could be a situation where II works better than RCI.